Our wine is made with aglianico grapes that are grown exclusively in our vineyards. Each of our vines are distinct and unique, linked to the specific piece of land where they grow. In our cellar, we focus on those differences to produce wine that can not be made anywhere else. In addition to the four "Aglianico del Vulture" DOC red wines (Messer Oto, Liscone, Bauccio, and Drogone) we also produce a rosé wine and a white wine IGT from the same grape (Sagaris, Leuconoe). Venosa's history, culture and unique places have inspired the names of our wines. 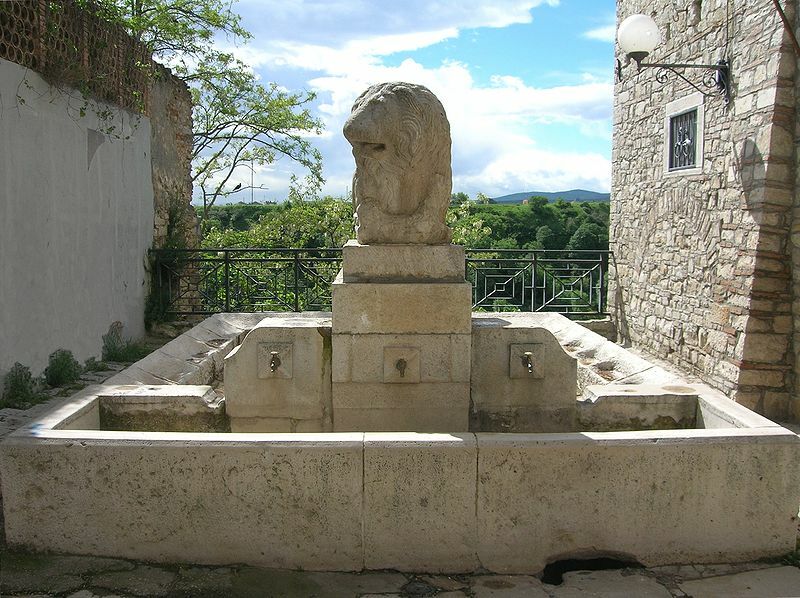 Messer Oto is the name of a fountain built in the late Renaissance style, which has over time provided water and opportunity for lively meetings, right in centre of the historic Venosa. Now it offers its name to this equally lively Aglianico wine. Winemaking: during maceration-fermentation we checked the temperature in order to preserve its fresh fruit flavours. Post malolactic fermentation, we left the wine on its lees to give a richer texture and a greater complexity. It is the territory and the site of the vineyards that give the name to this high quality Aglianico bottle, typical of Vulture lands. 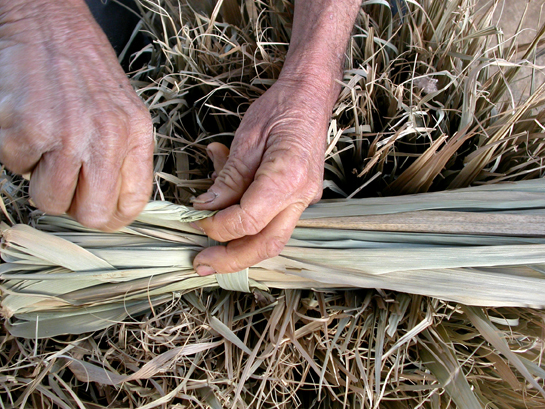 Its scents and flavors retain all the passion and the work of the winemaker. Bauccio or rather Pirro del Balzo, Prince of Venosa in the fifteenth century. The city owes him the castle and a new urban structure. The name of this elegant Aglianico, aged in oak barrels, is inspired by him. Winemaking: hand picked fruit is selected, de-stemmed and crushed, and fermented in small open top vats with frequent punch downs. After an extended maturation, it is aged in new french tonneaux (500L) for 12 months. The name chosen for the Aglianico Riserva is Drogone di Altavilla. Lord of Venosa, in the first half of the eleventh century, he strengthened the prestigious and rich Benedictine monastery of ss. Trinità Abbey, from the cultural, artistic and agricultural point of view. Tasting Notes: colour: dark and concentrated ruby red with garnet highlights; aroma: great intensity and complexity on the nose displaying ripe red fruits and spicy notes ;palate: lovely fruit concentration, depth, integrated oak and velvety tannins. Lingering and fascinating fruit finish. Winemaking: fermentation takes place in a small open top stainless steel tank. Each day during fermentation, the cap is plunged several times to extract colour, tannins and flavour. An extended maturation and 24 months of aging in French oak has softens the tannins and gives a full, rich complexity to the flavour. It is the care and attention of the work in the vineyard and in the cellar that inspired the name of Sagaris for the rosè wine. Sagaris was a freed slave mentioned in one of the Latin inscriptions found on the streets of Venosa. Tasting Notes: colour: bright salmon pink; aroma: fruit aroma with particularly cherry and strawberries notes out of the glass ;palate: the wine has a lovely balance and a lingering fruit filled finish. Winemaking: Soon after harvest the fruit is de-stemmed and crushed, and the juice is allowed to remain in contact with the grape skin for around 8 hours. This is followed by a long cool fermentation. After fermentation, a light filtration is use to enhance the wine's brightness. Leuconoe, the significant name that Horace gives to the woman of the "carpe diem". A woman whose mind is clear, shiny, ready to seize the fleeting moment. No better name can be chosen for Aglianico vinified in white. Variety:100% Aglianico del Vulture grapes. Winemaking: The grapes are hand harvested, whole bunches pressed and cold settled without using fining agents. After racking off juice lees a long cool fermentation takes place. The wine is then left on its lees and stirred to increase the palate weight and texture before the wine is filtered and bottled. Please drink responsibly. ::: Bevi responsabilmente.